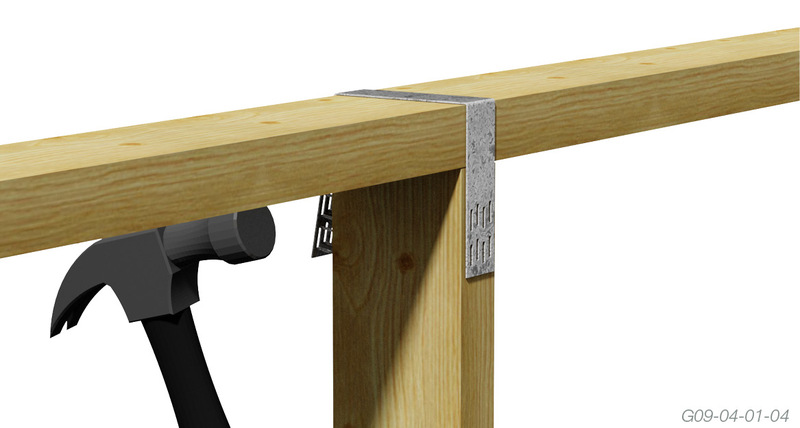 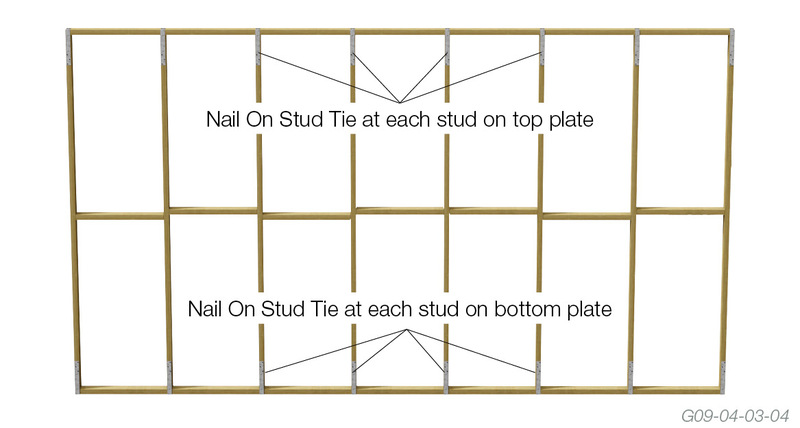 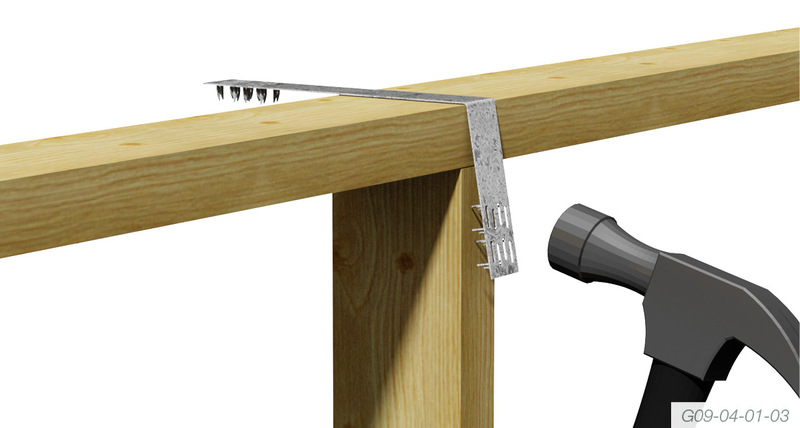 Position the shorter leg of the Stud Tie on the external side of the wall plate and hold firmly. 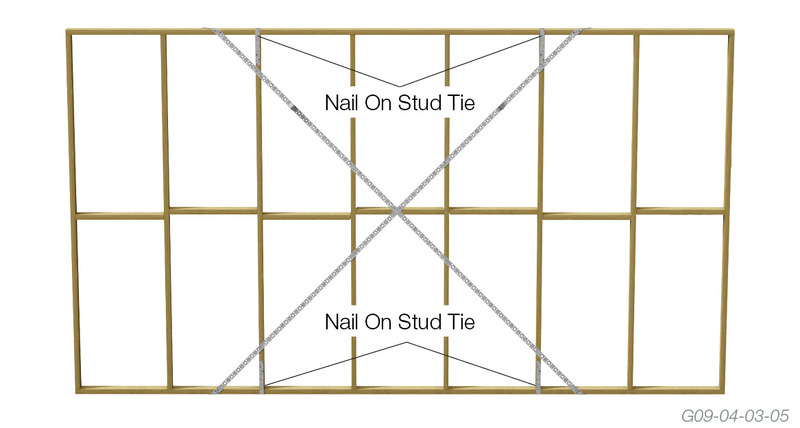 Hammer the preformed teeth into the stud and then bend the longer leg around the plate. 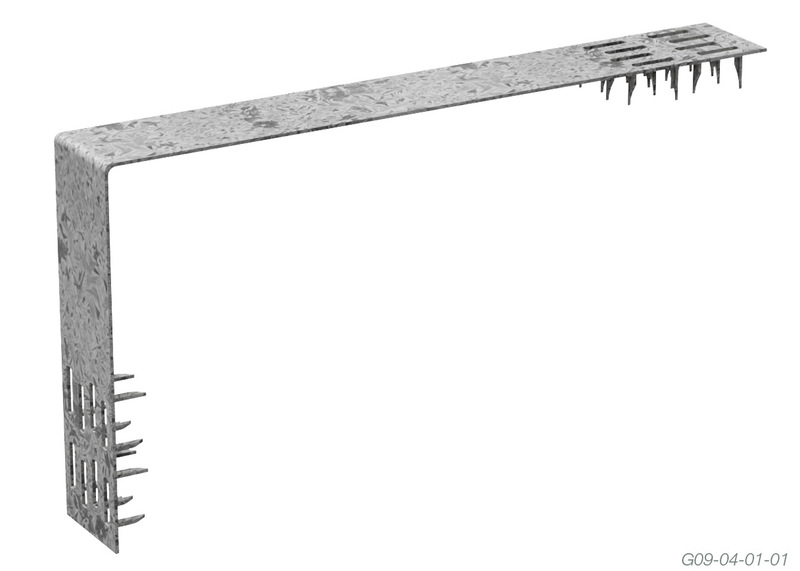 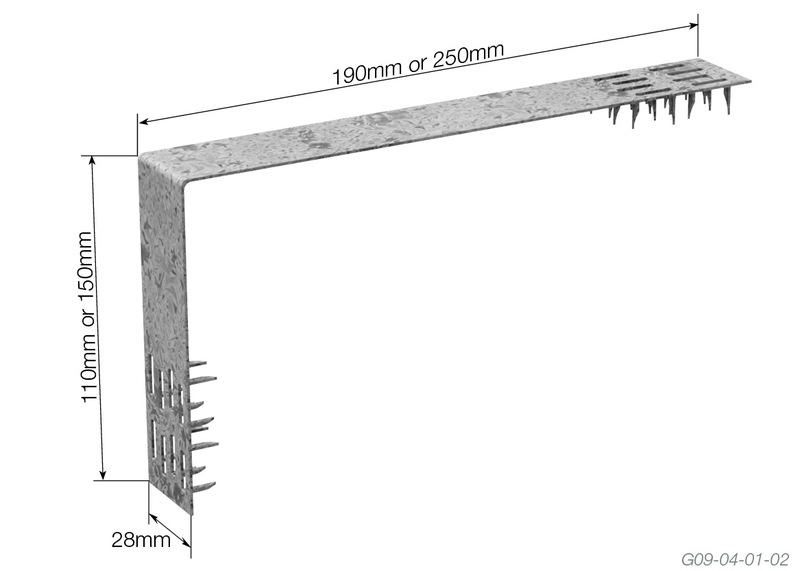 Once a tight bend is achieved, hammer the remaining teeth into the other side of the stud.